In newly released recordings, alleged Shin Bet agent can be heard urging Chaim Pearlman to assassinate Sheik Ra’ad Salah. New recordings released Thursday claim to prove that Chaim Pearlman, a right-wing Israeli extremist arrested Tuesday over the murder of four Palestinians, was encouraged by an alleged Shin Bet agent to commit violent acts, including the assassination of Sheik Ra’ad Salah, the head of the Islamic Movement in Israel. Chaim Pearlman in court Wednesday. 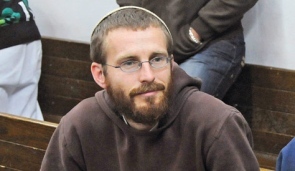 Chaim Pearlman was arrested earlier this week, initially on suspicion of carrying out two murders in 1998, and for a series of attacks against other Palestinian victims over the last 12 years. The Petah Tikva Magistrates’ Court on Thursday extended his remand by six days. According to Pearlman, he was contacted by a person who allegedly worked for the Shin Bet security service while disseminating fliers for the extreme right-wing Kach movement. Pearlman maintains that the person had tried to convince him to get involved in violent acts. Pearlman recorded all his conversations with the man and says he has 20 hours of recordings. The Shin Bet denied Thursday claims it tried to coerce Pearlman into carrying out attacks against Arabs, saying the exchanges recorded in the tapes released earlier Thursday represented a legitimate method of extracting a confession from a suspect. In his conversation with the person Pearlman claimed was a Shin Bet agent, Pearlman can be heard supporting non-violent, educational activities, with the alleged agent apparently incites him to violence. In the recordings released Thursday, the alleged agent can be heard saying that only an “extreme move” could change public opinion, citing the assassination of Sheik Ra’ad Salah as one such extreme move. “I could do it,” the agent can be heard saying, referring to the proposed killing of the Islamic Movement leader, saying that Salah’s security would prevent him from succeeding, adding that if he were Pearlman he would commit the assassination. “It’s not about hitting him [Salah] and getting in trouble. 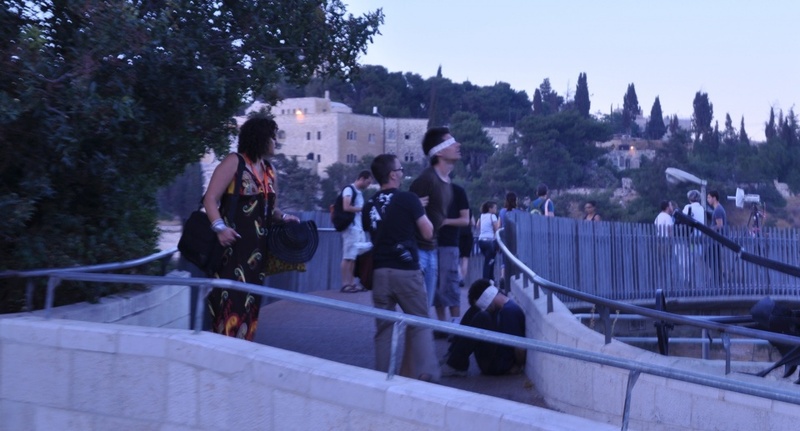 It’s about coming over, hitting him, and see you later, like that guy in Bar Noar” the alleged Shin Bet agent can be heard saying, referring to the killing of a counselor and a teenager at a Tel Aviv gay center last year. After again discussing the risks such an action would entail, Pearlman can be heard asking if the alleged agent even knew where Salah lived, with the agent answering: “somewhere in the North, in one of the villages in the North. Throughout the recordings Pearlman can be heard rejecting the alleged agent’s call for violence, and instead supporting educational and spiritual activity. “If you throw a fire bomb twice, the insurance [companies] won’t insure him anymore,” the alleged Shin Bet agent can be heard saying. To that the alleged agent answers “sometimes the one-time thing affects the long-run,” adding “let’s do something you and me. Let’s do something,” to which Pearlman replies that he is more interested in family. The recordings continue to document the discussion between the two, in which Pearlman insists on the value of educational action, with the alleged Shin Bet agent dismissing that approach. The agent can then be heard suggesting that Pearlman take the same people he had been working with distributing fliers and “sit on a nice village and organize a fireworks show,” referring to an armed assault on an Arab village. “So what President Bush did with the suspension of habeas corpus, with the whole concept of Guantanamo Bay, with the whole idea that he could avoid and evade federal laws, treaties, federal judges and the Constitution was blatantly unconstitutional and is some cases criminal,” he continued. The transfers come as American forces prepare to end their control of the sole remaining U.S. prison facility in Iraq. 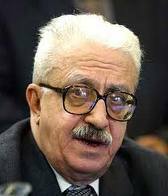 The United States has handed over 29 members of Saddam Hussein’s government to Iraqi custody in recent weeks, including Tariq Aziz, the urbane, cigar-chomping official who served as the regime’s global spokesman, Iraqi officials and Aziz’s relatives said Wednesday. The U.S. military confirmed that it transferred 26 former regime officials Monday and three others last month. It added that it continued to hold eight high-ranking members of Hussein’s government and his ruling Baath Party. Both Aziz’s son and the Iraqi government said the former foreign minister and deputy prime minister has in an Iraqi prison since Monday. “He hasn’t taken his medicine in three days. There’s no place to sit. He hasn’t seen a doctor,” Ziad Aziz said. He added that his father has been in a wheelchair in recent months after suffering a stroke. A medical report sent to the family by the International Committee for the Red Cross listed Aziz as also suffering from dementia and slurred speech. Iraq’s deputy justice minister, Busho Ibrahim, denied that Aziz or any other detainees were being mistreated. Iraq’s detention facilities have been plagued by poor living conditions and allegations of abuse by guards. The justice, defense and interior ministries have implemented human rights inspections, but violations still occur. A U.N. human rights report released last week raised concern about abuses committed against detainees. Tariq Aziz first gained notoriety in 1990 after Iraq’s invasion of Kuwait. He continued to promote Hussein’s views to the international community in the run-up to the U.S.-led invasion in 2003. Fluent in English and well-educated, the former foreign minister came to symbolize Hussein’s regime in the West. He was Iraq’s senior-most Christian official. In March 2009, an Iraqi court sentenced him to 15 years in prison for his role in the 1992 execution of 42 merchants who had been accused of price-fixing. He received another seven-year sentence in August 2009 for the displacement of Kurds in 1980. In addition to the 29 detainees handed over by the Americans, Ibrahim said 26 other high-ranking former regime officials had been transferred to Iraqi custody about eight months ago. The latest transfers come ahead of the end of American control of Camp Cropper at Baghdad’s international airport, the sole remaining U.S. prison facility in Iraq. On Thursday, the U.S. military will hand over a final 1,600 detainees, while another 200 prisoners will be held under joint Iraqi-U.S. custody, Ibrahim said. The shutdown of U.S. detention facilities marks a major step as American forces wind down their formal combat mission in Iraq and reduce their troops to 50,000 by the end of August. All remaining U.S. soldiers are scheduled to leave Iraq by the end of 2011. The United States will continue to hold in joint custody with the Iraqi government eight high-ranking members of the old regime, including Hussein’s half-brothers Watban Ibrahim Hassan and Sabawi Ibrahim Hassan. Both men have been sentenced to death by Iraqi courts. The most controversial case remains that of Hussein’s former defense minister, Sultan Hashim Ahmad Jabburi Tai. Jabburi Tai was sentenced to death in 2007 for his role as a general in the north during the Hussein regime’s 1980s Anfal military campaign against the Kurds. Jabburi Tai has been spared execution because Iraqi President Jalal Talabani, himself a Kurd, has refused the orders. Talabani has argued that Hashim should be spared for his contacts with the Iraqi opposition before 2003. It has long been rumored that Jabburi Tai helped to stand down the Iraqi army during the U.S. military invasion. But many Shiite leaders, including Prime Minister Nouri Maliki, have pushed for his execution. Ibrahim hinted that the Iraqi authorities were pushing for Jabburi Tai and the remaining seven regime officials to be transferred over as soon as possible. Hamid is a Times staff writer. 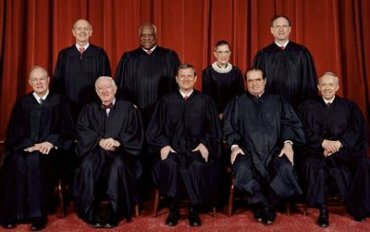 Traditionally, the US Supreme Court takes a puritanical view of mankind. Just as puritans prohibit assisting a sinner in distress as long as he has not specifically renounced sin, the Court prohibits providing assistance to terrorists as long as they have not repudiated armed activity. In its view, those who assist them legally, educationally, culturally, socially or in any other manner, enable them to conserve their energy for the commitment of Evil. Moreover, in United States law a terrorist organization is not an organization that has been sentenced for precise criminal acts but a group designated as such on political grounds by the State Department. In consequence, all types of activity may be punished as “terrorist” by US courts. This is the case, for example, with the provision of UN food aid to Gaza if it is distributed by local councillors who are members of Hamas. The Israeli military, which enforces a so-called “buffer zone” — an unmarked no-man’s land — inside the fence that reaches as deep as 300 metres into the tiny enclave, has been widely criticised for opening fire on civilians entering the closed zone. The Israeli army claims Sentry Tech is “revolutionary”. And that will make its marketing potential all the greater as other armies seek out innovations in “remote killing” technology.